Because of their size, large commercial trucks, tractor-trailers and garbage trucks are a great danger to cyclists, especially near city intersections. When truck drivers operate without reasonable care or trucking companies cut corners to save money, there can be tragic consequences for cyclists. At Breakstone, White & Gluck, each of our partners has more than 30 years of experience investigating complex truck crashes injuring cyclists in Boston, Cambridge and across Massachusetts. Not every law firm has this level of experience. Our attorneys have represented cyclists in personal injury claims and families of cyclists in wrongful death lawsuits against trucking companies. We are known for our aggressive and compassionate representation for families, and our strong financial results. Breakstone, White & Gluck is committed to pursuing the best result for every client. We have a proven track record of top results for clients and have been consistently recognized for our work, as Top 100 New England Super Lawyers and Top 100 Massachusetts Super Lawyers. For a free legal consultation, contact our firm at 800-379-1244 or 617-723-7676 or use our contact form. Attorney Ronald E. Gluck explains, "Trucking companies often withhold information, make it very difficult to find out what the cause of an accident was. We are experts in obtaining this information and leave no stone unturned in determining why a truck flipped over or why a trucker was unable to stop in time to avoid rear-ending another vehicle." Watch the 90-second video. When a case involving a large vehicle crash goes to trial, it is critical to present a strong accident re-enactment to the jury. Attorney Marc L. Breakstone presented this re-enactment to a Suffolk Superior Court jury, showing where our client (who was a pedestrian) was in the crosswalk when she was hit by an MBTA bus. The jury awarded our client $3.97 million. After the MBTA's appeal, the final award for our client was $7.1 million. What Compensation is Available to Cyclists and Families After a Truck Crash? If a cyclist is seriously injured, it is important to engage a lawyer so your medical bills and lost wages are covered while you heal. In addition to medical bills, which can add up quickly, basic expenses, such as rent, mortgage payments and utilities, must also be paid. An attorney can advise you on handling these concerns. You may also be eligible for other damages, including pain and suffering, scarring and disability and loss of enjoyment of life. Family members may be able to recover damages for loss of consortium or loss of support. If a cyclist has been killed, Massachusetts law governs who can file a wrongful death lawsuit. 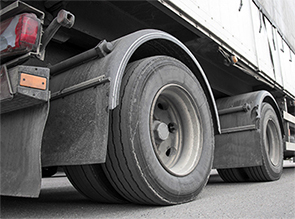 In addition to other damages, when a truck driver, truck company or other party engages in gross negligence or reckless conduct, punitive damages may be available. Read more about filing a wrongful death lawsuit in Massachusetts. Between 2010 and 2014, 11 cyclists died in motor vehicle crashes in Boston, according to city figures. Seven were killed by a truck or bus. In some cases, truck drivers kept traveling. In April 2014, a cyclist was hit and killed by a garbage truck in Charlestown. This was a hit-and-run truck crash. According to media reports, the truck driver said he thought he hit a pothole so he kept driving. In September 2014, a cyclist was hit by a garbage truck at the corner of Inman and Harvard streets in Cambridge during the morning commute. In May 2015, a cyclist was killed by a truck on Commonwealth Avenue in Boston's Back Bay. In June 2016, a 27-year-old woman was killed in a truck crash in Inman Square. The cyclist first collided with an open Jeep door, then was hit by a landscaping truck. In October 2016, a cyclist was seriously injured in a Cambridge truck crash in Kendall Square. Just a few days later, a 60-year-old cyclist died in a tractor-trailer accident in Porter Square in Cambridge. In February 2019, a Cambridge cyclist was killed in a collision involving a cement truck in the intersection of Brookline Avenue at Park Drive, in the Fenway neighborhood of Boston, less then a mile from the Longwood medical area. Trucks can hit cyclists from behind, while turning or in side-impact crashes. Side-impact crashes kill cyclists in nearly half of all bike vs. truck crashes, according to the U.S. Department of Transportation Volpe Center (U.S. DOT Volpe Center). Side-impact crashes kill pedestrians in one quarter of pedestrian vs. truck crashes. When a truck hits from the side, cyclists can fall - and worse. The cyclist can get swept under the truck cargo and become trapped in the area between the wheels. Truck crashes are preventable if companies upgrade their fleet's equipment with side guards and mirrors. Side guards cover the area between the truck's wheels and the cargo, blocking it off from cyclists and pedestrians. According to the U.S. DOT Volpe Center, upgrades can cost less than $1,000 per vehicle and have proven effective. Side guards reduced cyclist deaths by 61 percent and serious injuries by 13 percent in the United Kingdom, according to a study by Transport for London. Beyond equipment, truck companies have to commit to follow safety practices. Truck drivers who speed, make faulty turns at intersections and operate with fatigue put cyclists at high risk. Operators of large trucks should never use cell phones. The state of Massachusetts bans texting while driving and the Federal Motor Carrier Safety Administration (FMCSA) bans use of hand-held mobile devices for operators of commercial motor vehicles. Trucks of any size carrying unsecured loads - such as furniture or construction equipment - are another hazard for cyclists. In October 2014, Boston became the first U.S. city to approve a truck side guard ordinance, requiring truck side guards, convex mirrors, cross-over mirrors and blind-spot awareness decals on all city-contracted trucks. The goal was safety for cyclists and pedestrians, who are vulnerable to being hit and trapped under a tire's carriage. Boston's ordinance applies to motor vehicles which weigh more than 10,000 pounds and semi-trailers over 26,000 pounds. Some vehicles are exempt, such as trucks used exclusively for snow plowing. Other Massachusetts cities have been considering side guard requirements. By 2019, the City of Somerville had a local ordinance for city-contracted trucks on the books. In January, the City of Cambridge - which had already retrofitted city trucks with sideguards - was also talking about an ordinance for city-contracted trucks. The same month, Gov. Charlie Baker proposed new statewide legislation mandating side guards and other safe guards for state- and city-owned trucks by 2020. State and city contractors would have until 2022 to equip their vehicles. 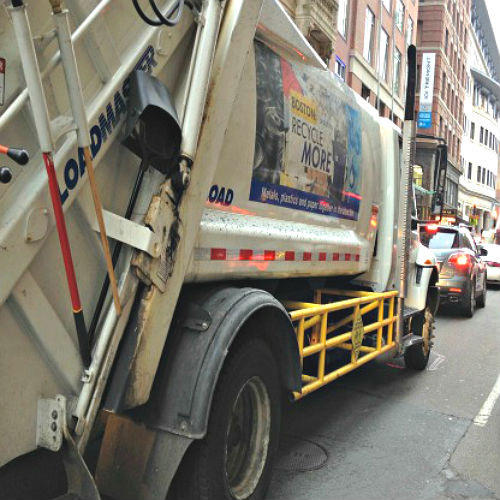 Boston's City Council approved the first in the nation truck side guard ordinance in October 2014. New York City's initial plan was to outfit 240 city trucks with side guards. Now, the city is looking ahead to meeting a new goal of 10,000 trucks by 2024. In July 2017, the Chicago City Council approved a truck side guard ordinance. In February 2017, Seattle announced it would retrofit city owned trucks. Learn your rights. If you are a cyclist who has been injured by a truck crash in Boston, Cambridge or another Massachusetts community, contact our bicycle-truck accident attorneys. For a free legal consultation, contact us at 800-379-1244 or 627-723-7676 or use our contact form.